Floods are the most common disaster occurring in many parts of the world. Malaysia is historically a flood-prone country, but a combination of climate change and urbanization has seen the country experience increasingly frequent and severe floods in the recent decades. The estimation of flood damage is an important component of risk-oriented flood design, risk mapping, financial analysis, and comparative risk analysis. However, research on flood damage modeling especially in commercial retail business has not received much attention in Malaysia. This study has developed a model to estimate cost of flood damage in the commercial retail business sector. The 2008–2013 Malaysia flood data have been used in developing the model. This includes data from three states in Malaysia, namely, Kedah, Kelantan, and Johor. Data were collected through questionnaire, personal interviews, and site visits from 417 respondents. Regression modeling was employed to ascertain significant factors and quantify the size of effect of these factors on flood damage of retail business. 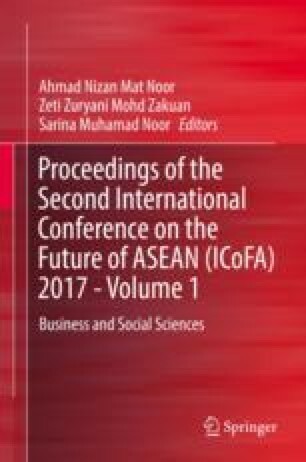 Results indicate that the flood damage cost model can be used in estimating the cost of damage in the retail business sector in Malaysia. The model is a contribution to the study of economic analysis of flood. This model can be used by policy makers in the planning of future retail business from the aspects of flood preparation and mitigation. The authors wish to thank the Ministry of Higher Education, Malaysia, for funding this study under Long-Term Research Grant Scheme (LRGS/b-u/2012/UUM/Teknologi Komunikasi dan Informasi). Meyer, V., & Messner, F. (2005). National flood damage evaluation methods: A review of applied methods in England, The Netherlands, The Czech Republic and Germany. Retrieved from https://www.cepri.net/tl_files/pdf/.